Part of the Stockholm Studies in Comparative Religion series. Anarchism and religion have historically had an uneasy relationship. Indeed, representatives of both sides have regularly insisted on the fundamental incompatibility of anarchist and religious ideas and practices. Yet, ever since the emergence of anarchism as an intellectual and political movement, a considerable number of religious anarchists have insisted that their religious tradition necessarily implies an anarchist political stance. Reflecting both a rise of interest in anarchist ideas and activism on the one hand, and the revival of religious ideas and movements in the political sphere on the other, this multi-volume collection examines congruities and contestations between the two from a diverse range of academic perspectives. 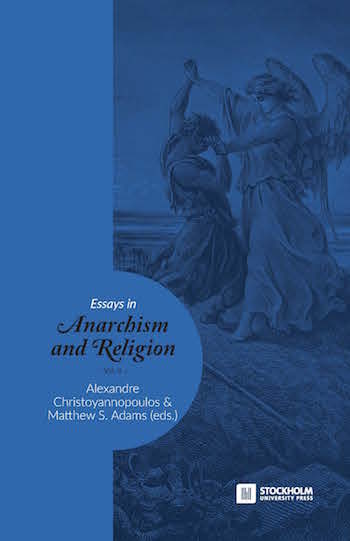 The second volume of Essays in Anarchism & Religion includes essays covering themes such as Yiddish radicalism, Byzantine theology, First Peter, William Blake, the role of violence in anarchism and in Christian anarchism, Spanish anarchist-themed film, and the Occult features of anarchism. In a world where political ideas increasingly matter once more, and religion is an increasingly visible aspect of global political life, these essays offer scholarly analysis of overlooked activists, ideas and movements, and as such reveal the possibility of a powerful critique of contemporary global society.